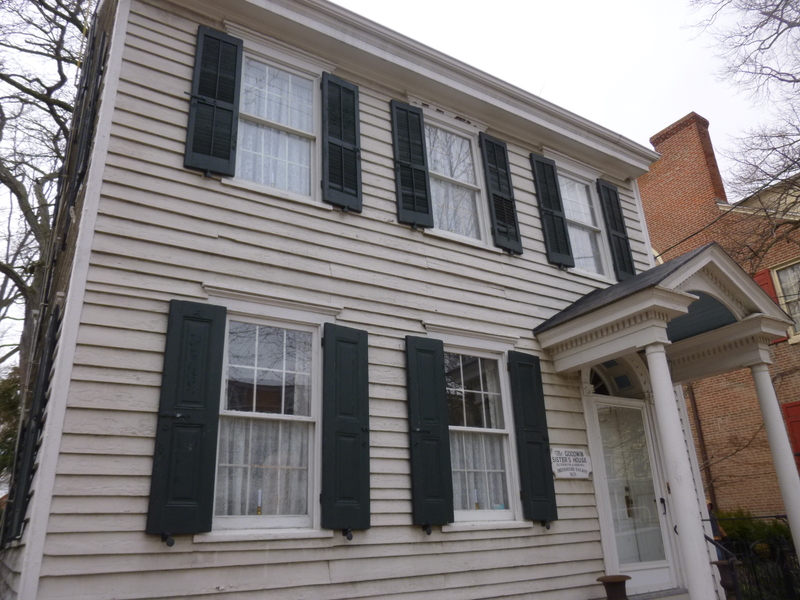 Today is the beginning of New Jersey – State #26. 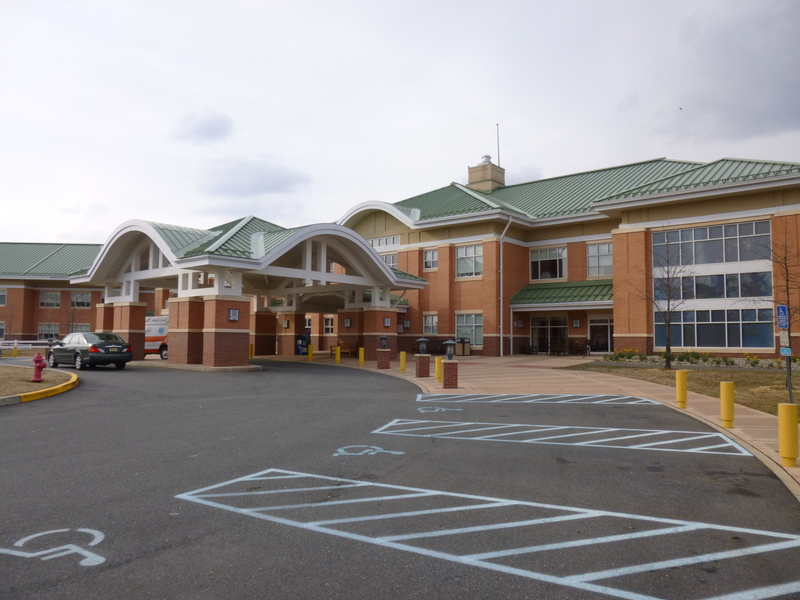 I had stayed at an inexpensive place on the east side of Maryland because it looked like pet friendly motels might be a little more challenging in NJ – and I woke up to a light snow! 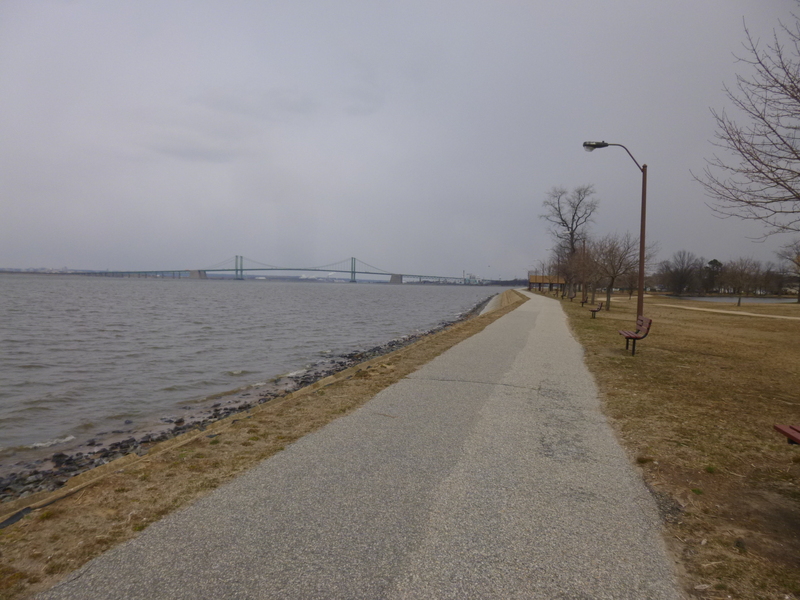 It wasn’t too long a drive to New Jersey – I did a couple quick errands, then finished the Maryland miles, then drove about 12 miles in Delaware, then over the Delaware River into New Jersey. There’s a lot of turnpikes in New Jersey and I want to avoid most of them, so I took the first exit immediately after crossing the bridge, and found myself in Pennsville. 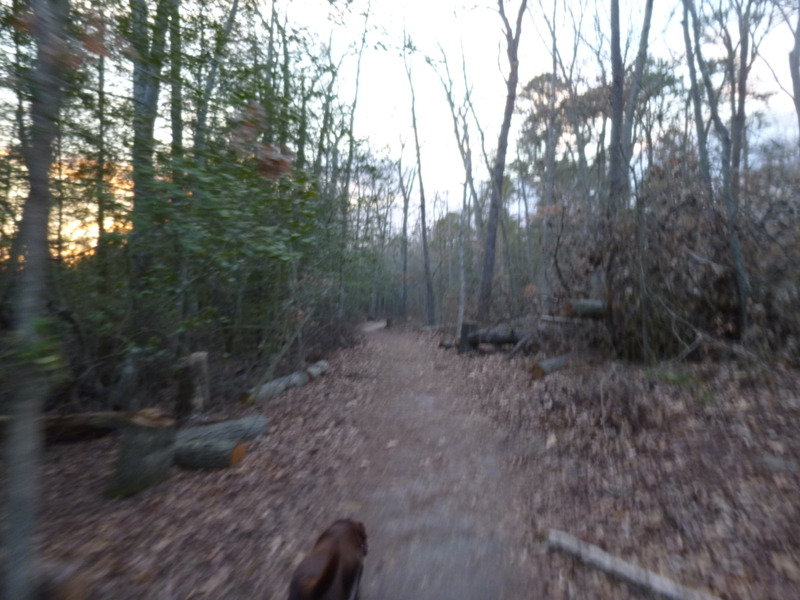 After a quick bite to eat, Tula and I started our NJ walking on a path in a park by the Delaware River. 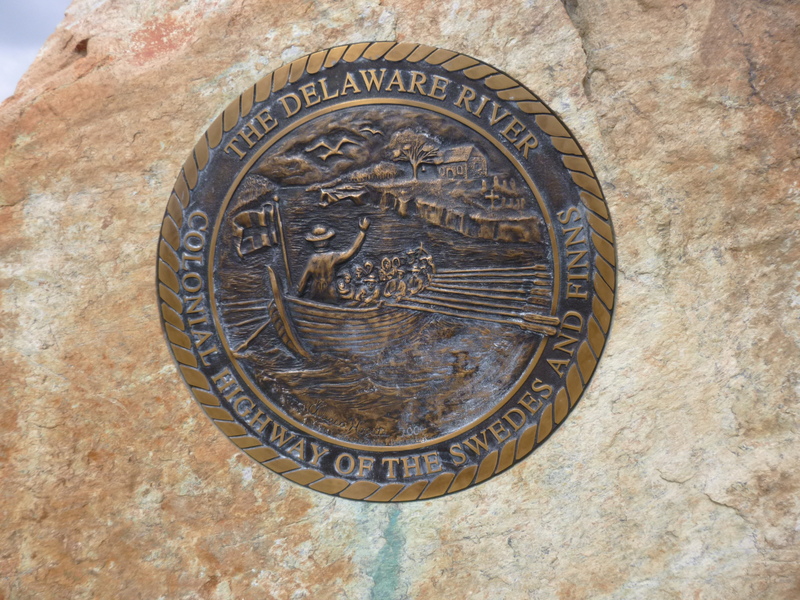 There was a monument along the river saying the Delaware River was the colonial highway for Swedes and Finns. 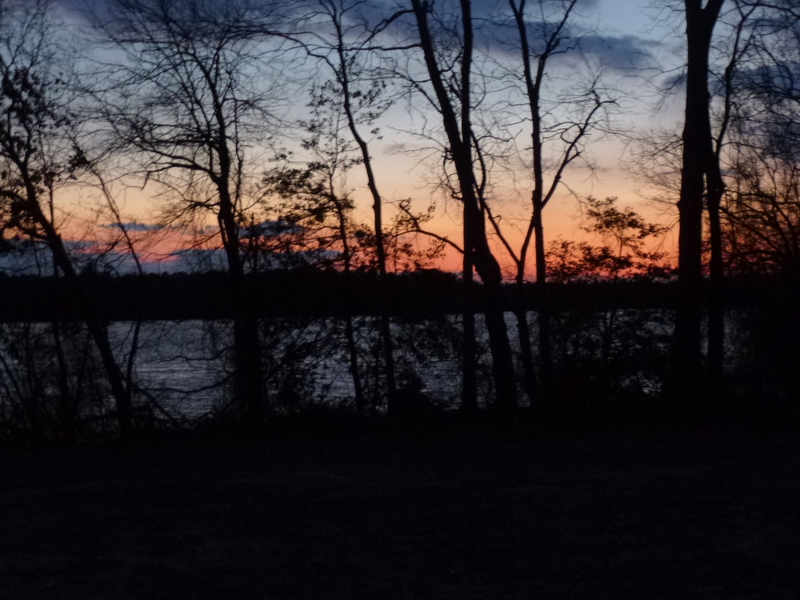 It was chilly out, and there was a brisk breeze, so we just did a quick mile and a half. 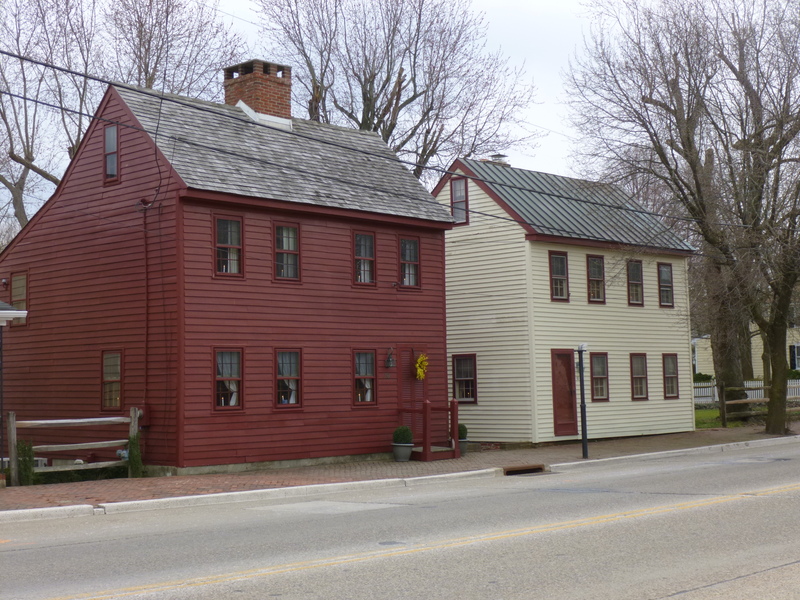 Then I moved on to a town called Salem, and got out for another couple of miles. 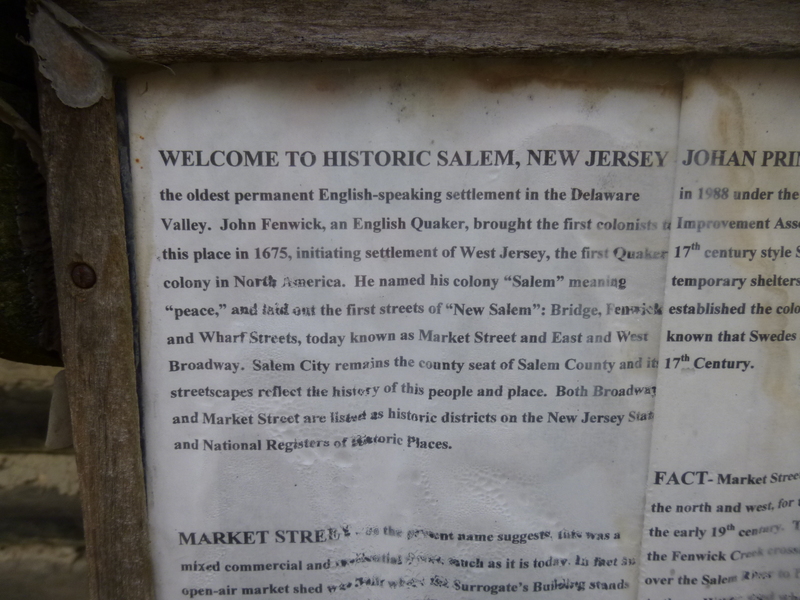 According to a sign, Salem means “peace” and the town was given that name by the first Quaker colony in 1675. 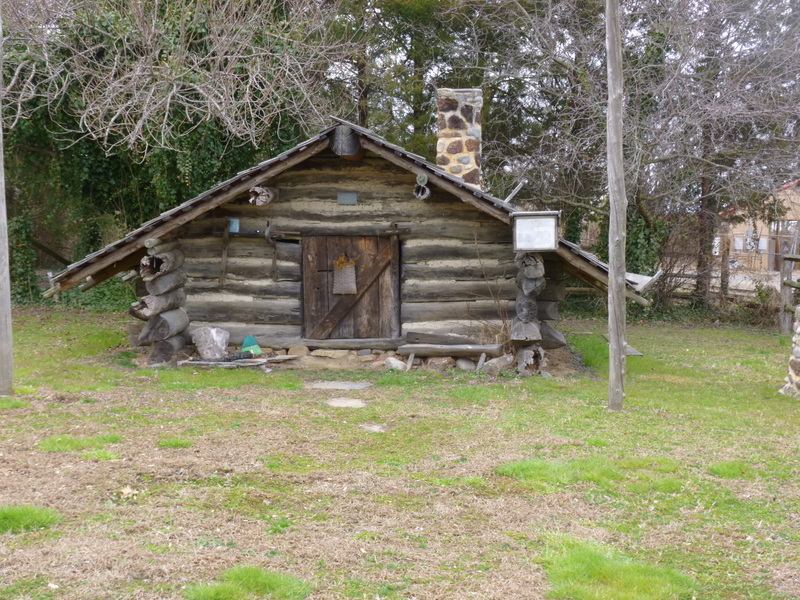 There’s an old log cabin standing in town, but I’m not sure if it’s been standing since then, but it sort of looks like it! 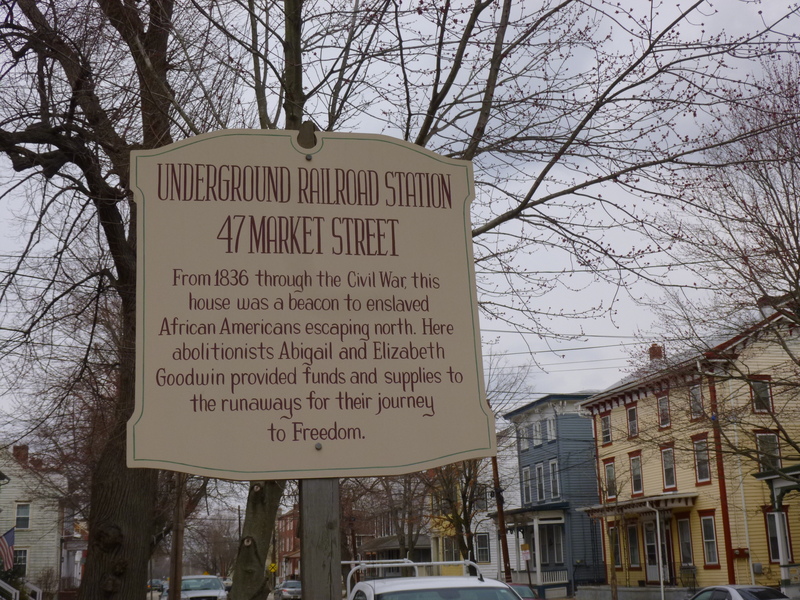 There was also a house in Salem, owned by 2 sisters who were part of the Underground Railroad – if only the walls could talk. 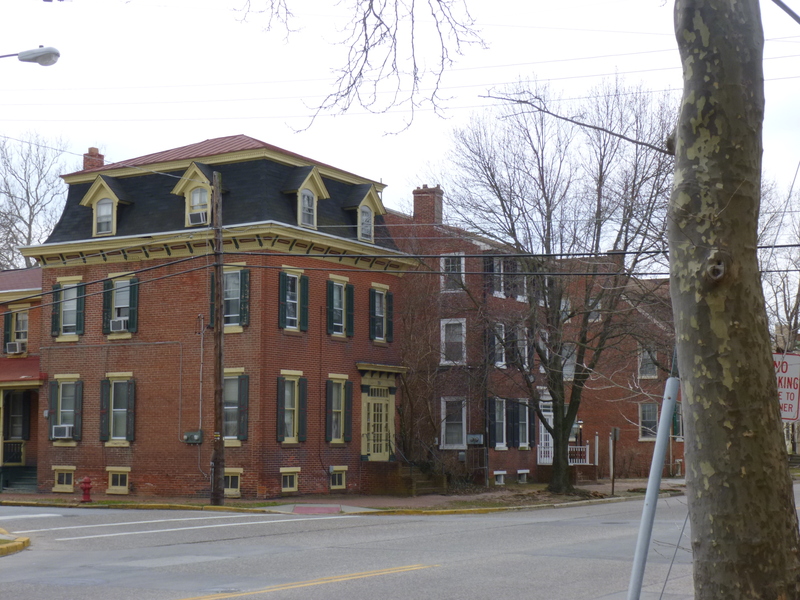 I had looked into donation possibilities in both of those towns, but didn’t see anything that grabbed my attention, but there was a big New Jersey Veteran’s Home in Vineland that is the oldest one in the state. 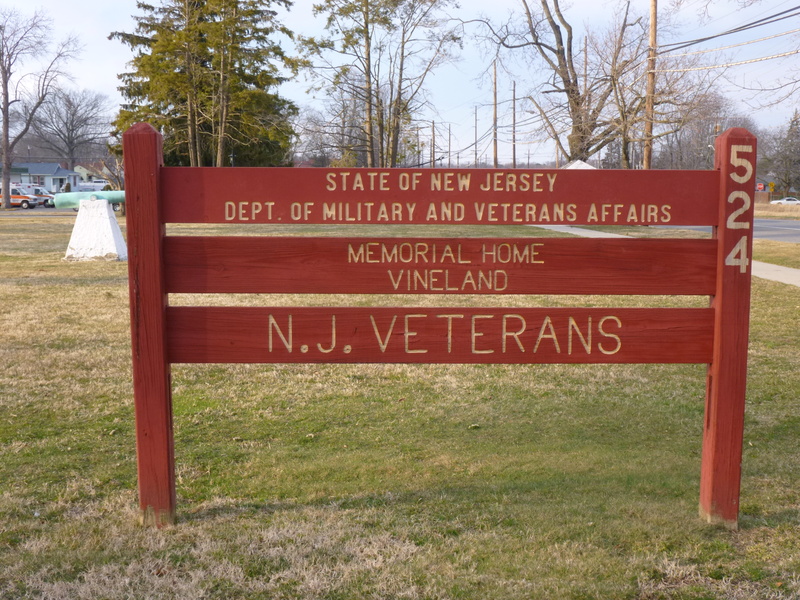 Concern and care for New Jersey veterans began after the Civil War with the opening of the New Jersey Soldier’s Home in 1866. 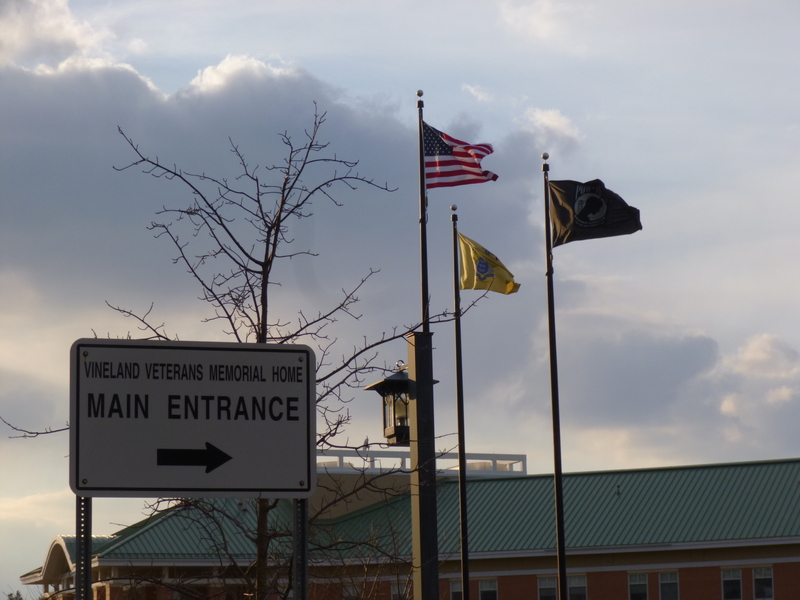 Since then, New Jersey has been providing care for their veterans, and the Veteran’s Memorial Home in Vineland has been in operation since 1899 and the website says they have provided care to New Jersey veterans of every war and armed conflict since the War of 1812. 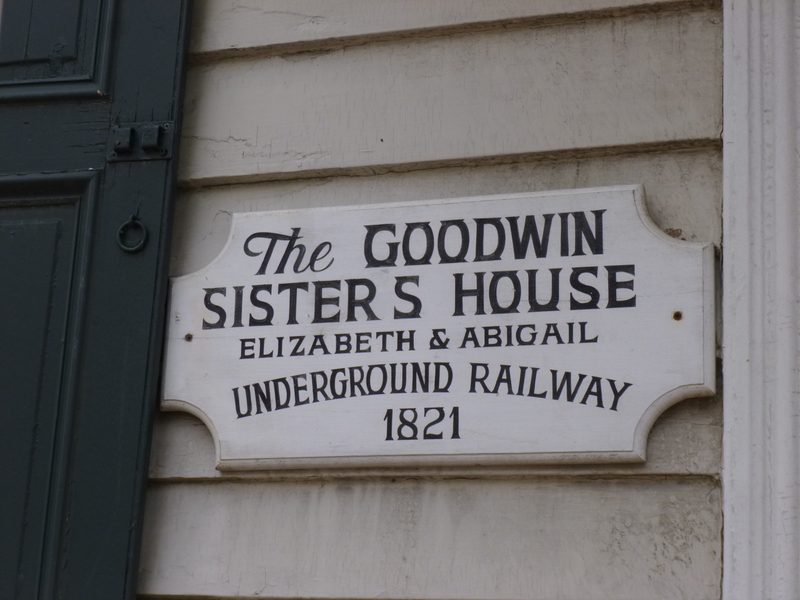 The place was re-built in 2005. I called the activities office about making a donation, but no one answered so I just left a message. I drove over there and it’s a very big, nice facility. Someone took me to the recreation office, and I met Derick, and by then they had heard my message, and were pleased to get a donation. Derick was very interested in my journey, and we talked for quite a while. He told me a bit about the recreation/activities programs (they even have a 4-lane bowling alley)and my donation will go toward one of the activity programs. Derick hosts a radio show called “Celebrating our Veterans” on Saturday mornings, and he wanted to tell the listeners about my journey since I make a military-related donation in every state, and wondered if I could call into the show from wherever I am on Saturday. So he gave me the phone number for that. 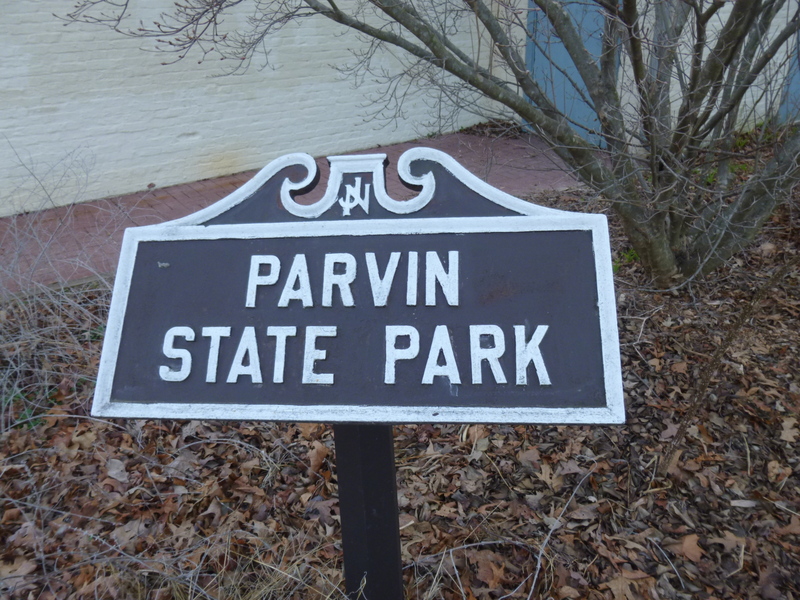 By then the afternoon was beginning to slip away, and I needed to get some more walking in, so after I left the Veteran’s Home, I walked a little over a mile in the park across the street, and then I drove a short ways and found Parvin State Park where Tula and I were able to get 2 3/4 miles in before dark. That left me about 8/10s short for the day, but I can make that up!